I suppose you can call that "playing". I got a $35 Factory Clearance body and a bridge from GuitarFetish. 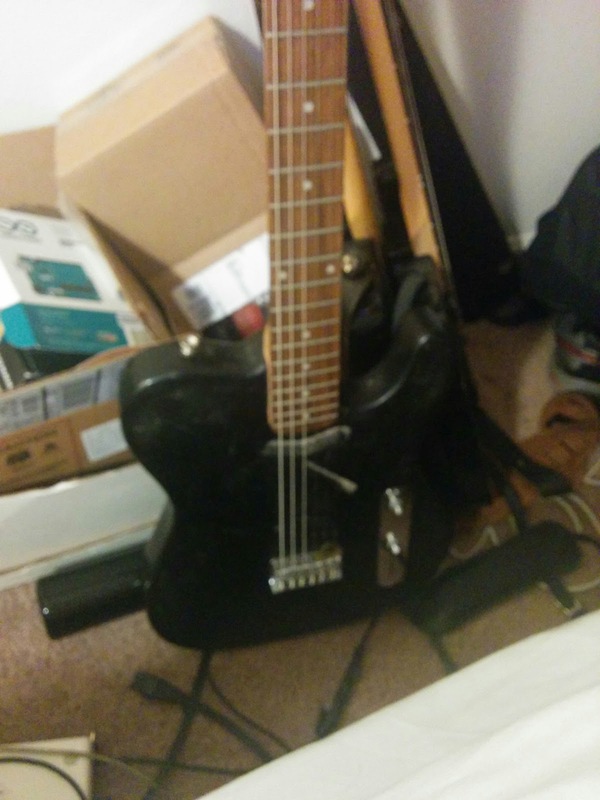 I got an $8 Squier Tele pickup from Reverb. 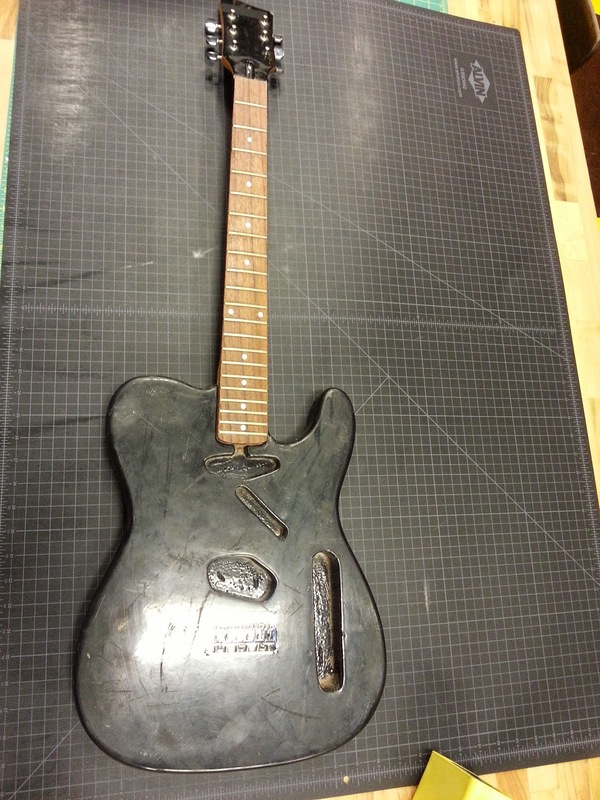 The neck came from a First Act mongrel (Gibson-style 3-per-side headstock, Tele body, Strat pocket, tremolo bridge and controls, single bridge humbucker pickup) that self-destructed years ago. Nut is from another guitar, but really fits neither, so I have a capo on the first fret, making it effectively a zero-fret guitar. 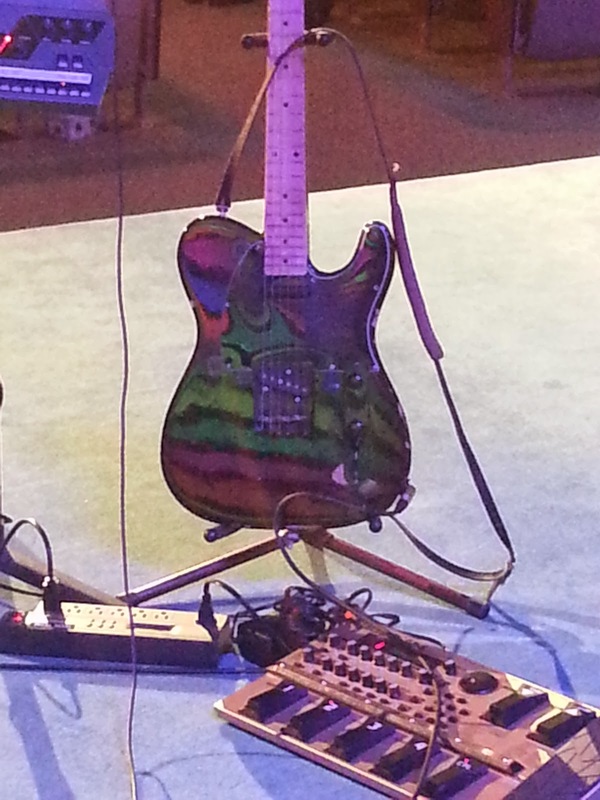 I took the control plate, jack, and strap buttons from other projects, mostly hardware replaced on other guitars. I lost my old jack cup, so black duct tape is serving. And, for now, it has no electronics besides a pickup and a jack, yet I still reversed the control plate, because that's how I roll. I'm torn between volume-only ("EVH"), volume w/ push-pull or push-push kill switch, volume/tone/kill, old Esquire wiring, Eldred "cocked-wah" wiring and leaving it just like this. I have a wiring harness I might stick in and leave alone, just to be like that. Because is is a cheap factory reject body (and I still need to work on it to get the neck sitting right, so the high E stays on the neck), I feel free to modify the body in any way I feel like. I have vague plans of carving cool stuff into it with a laser cutter, and I've recently been inspired by the art on Johnny Hickman's "Lucky 7" Les Paul, but looking good pales in comparison to playing good, so that can wait. 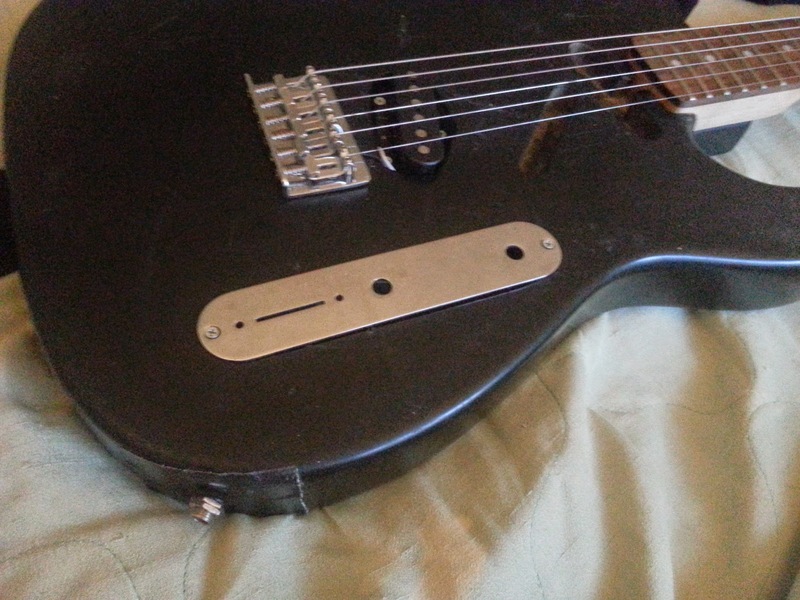 And I'm thinking about getting another, Tele-style neck, but honestly, I like the way this neck feels. My #1, besides my #1, is called "Johnny" because it was signed by John 5. My white Tele-style was signed by Bill Kirchen, so I call it "Bill". My dual-humbucker Bullet Tele has yet to be named, and the same with this one. Over time, it'll reveal a personality and receive a name. I'll set up a camera and play something with it soon. 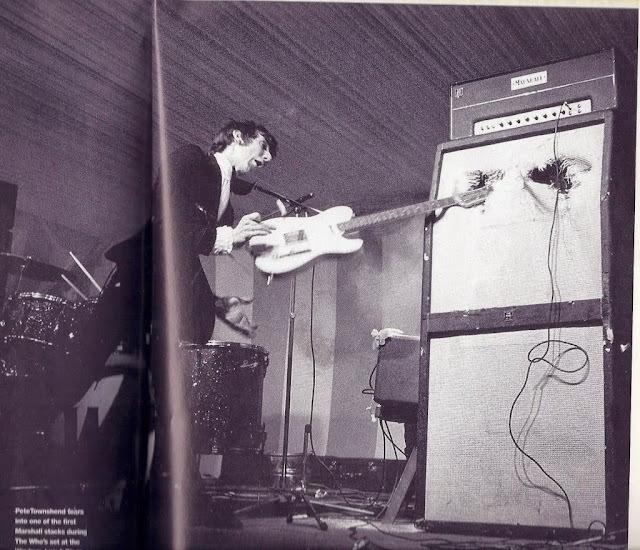 Last time, the mic was close and the amp was far, so you only got the acoustic sound. I'll move an amp closer, or maybe DI it, and try again.